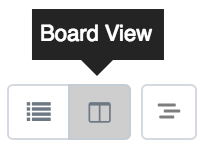 Within Teamwork Projects, you can add triggers to columns in board view to change which task list a card belongs to. In the add trigger modal, select the 'Modify Task List' option as the trigger type. You can then select your destination task list. Click 'Add Trigger' to save the new trigger for the column. Note: You cannot choose a private task list as the destination task list for a card. Once the trigger has been added, any time a card is moved to that column, it will automatically be moved to the destination task list. 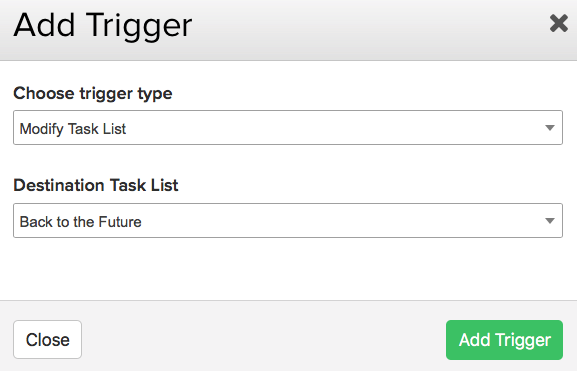 Note: If you are using both the 'Modify Task List' trigger and a default task list, the task list selected in the trigger will override the default list.